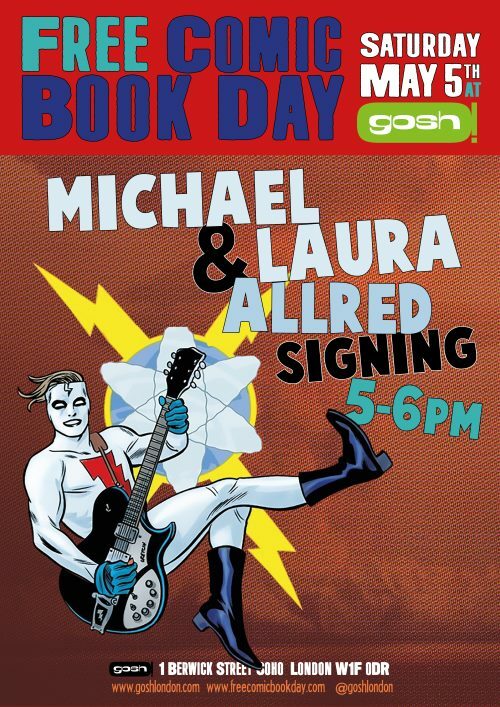 Laura Allred and Mark Allred will be here from 5-6pm to sign for you lucky, lucky people! Free comics will be available behind the counter downstairs. Five per person, maximum one copy of each. Please respect your fellow comic fans on the day. Saturday, May 5th: Free Comic Book Day 2018. See you there!